In what sounds like a truly awesome job, Mike Vogel has headed all development for Hasbro Studios, the Los Angeles-based production division of Hasbro, Inc., since March 2011, shepherding many of the studio’s well-known brands from inception through success on The Hub, a joint venture between Hasbro and Discovery Communications, and on networks reaching more than 160 countries, globally. He works closely with producers, writers and artists, as well as independent entities, to re-imagine, reinvent and reignite the company’s beloved brands while collaborating on possible toys, products and licensing. Essentially, he makes a living being a big kid and bringing his childhood geek fantasies to life. 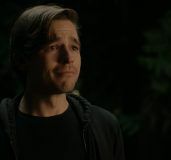 During this recent exclusive phone interview with Collider, Mike Vogel talked about what his day-to-day duties entail, what the biggest surprise has been, in terms of toy sales, how often they decide to rotate or add characters on their shows, how much they listen to fans to make sure their ideas are also incorporated, what they’re doing to reach the comic book movie audience, that they’ll have some big news and really cool stuff for fans at Comic-Con, the coolest toys and merchandise that he has in his office, the challenges of developing new properties, and the possibility of a Candyland cartoon or a KREO animated series. Check out what he had to say after the jump. So, what exactly does being the Vice President of Development of Hasbro Studios entail, on both a day-to-day basis and as part of the bigger picture of Hasbro? MIKE VOGEL: That is a good question. It entails a whole lot of a lot. Basically, my job, on the studio side, is to work with our creative team, our animation studio, our writers, our artists and our animators and, at the same time, work very closely with the brand team in Rhode Island, who are running the day-to-day of what we’re doing, in a more global sense, with all of our brands, and make sure we’re all working in the same direction, so that we have great, amazing shows that work great as entertainment, and also support the bigger global needs of our brands. That sounds like a mouthful, but it means that, most days, I feel like a traffic cop. A creative traffic cop, but still a traffic cop. Obviously, your main goal is to create fun and entertaining shows that sell toys. In terms of those toy sales, what has been the biggest surprise, over the last few years? VOGEL: Well, that’s an easy answer. The biggest surprise has been My Little Pony. I don’t necessarily stay looped in on the day-to-day of how the toy sales go up and down with each retail season. 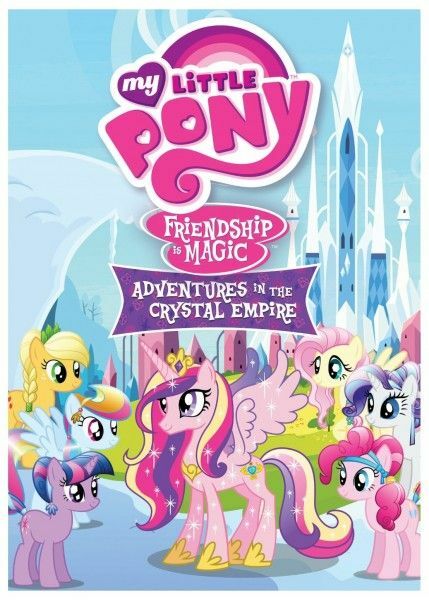 But, the biggest surprise for us was how strong the entertainment was on My Little Pony, and how that led directly to an increase in toy sales and an increase in our licensing business. It created new partners that we never would have thought of for My Little Pony, like Hot Topic and Mighty Fine, with the t-shirt sales and hoodies. There are the toys that girls are buying, and Funco are doing toys for the older fans of My Little Pony. In general, My Little Pony is the success story of what happens when you bring a great creative team to our brand. We’ve created entertainment that was so strong and so powerful that it drove the rest of the brand, in a really positive way. Similarly, was there anything you expected to do better than it actually did? 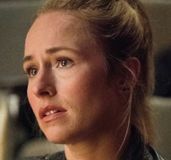 VOGEL: I think we’ve had strong success with everything, but what we’ve learned, which is something that’s a tough challenge, is that great entertainment doesn’t always equal great toy sales. All of our shows have been very successful, and the brands have been really successful, but what we’ve learned is that there are a lot good ways to make great, entertaining television, but we have to work really closely with our partners in Rhode Island, to make sure that we’re doing the right version that also works for toys. We get pitches for shows, all the time. People come in and say, “We know this would make a great toy line because we have this many characters, and they each have a weapon. It’s going to be really cool, and you’re going to have lots of action figures.” Before I worked at Hasbro, I would have said, “Oh, yeah, that makes sense.” But after working at Hasbro, I know there are play patterns, and there are insights into the boys’ market and the girls’ market. What you might think is a good piece of entertainment for a toy, sometimes doesn’t work exactly the right away. At the same time, sometimes what really works for a toy wouldn’t make a good TV show. You have to work really carefully to find the thing that has that exact balance, so that your show is really good entertainment and doesn’t feel like a commercial, but also gets people really excited to go buy the awesome toy at the store. 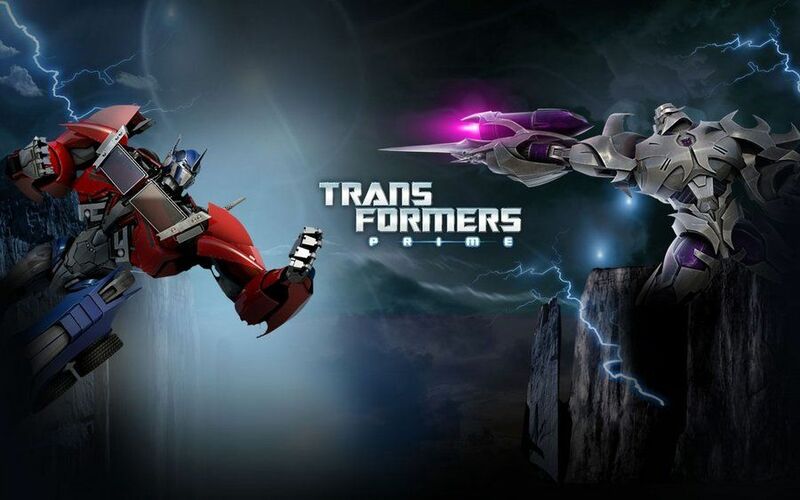 Did you feel like there was enough of an opportunity to wrap up the story you were telling with Transformers Prime, for the third and final season? VOGEL: There absolutely was. 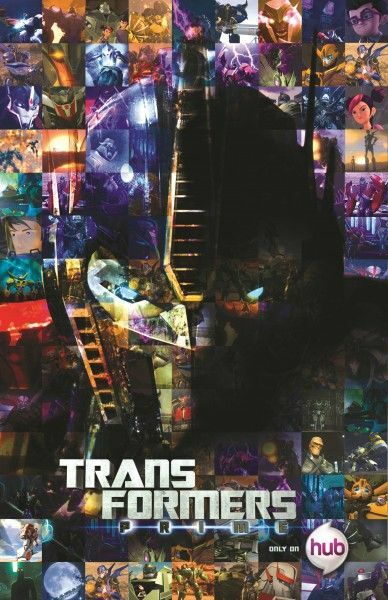 The plan for Transformers Prime was always to do three seasons. We knew, from day one, where we were going to try to wrap everything up, before we decided what the next chapter of Transformers was going to be. And it was really successful in working with the toy teams to find something new. Transformers Prime is an Emmy Award-winning show. We took some of the most beloved characters from Hasbro and reinvented them with a new CG look and new adventures, and I think we did a great job with that. But by the time we got to Season 3, we knew that we wanted to add in a new element. 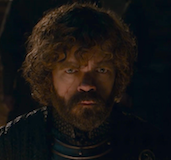 We knew broad strokes, from day one, where we wanted the series to end, but when we got to the season, we said, “Well, what’s something new that we can add, that’s going to be really exciting.” In working with our creative team, along with the creative team in Rhode Island, we came up with the idea of a new faction for Transformers. It’s not just Autobots and Decepticons. We added in Predacons. For me, watching these episodes as they came in, the little geek in me who grew up watching Transformers as a kid, gets super thrilled that there’s a giant dragon, breathing fire and attacking Autobots. It doesn’t really get much cooler than that. How often do you want to rotate the characters or add new characters, in shows like Transformers or G.I. Joe? Is that something you’re always thinking about? 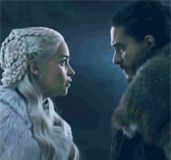 VOGEL: That’s one of the unique challenges of a TV show that also works with a toy brand. It’s about finding that balance. With a toy brand, obviously you want to be able to sell new characters, each season, and you want to introduce new characters with new abilities and all the cool stuff that you get. At the same time, you don’t want to throw the baby out with the bath water. There are certain characters, like Bumblebee and Optimus Prime, and Rainbow Dash and Pinkie Pie from My Little Pony, that you’re not going to get rid of. They’re always going to remain the ambassadors of your brand, but you create stories that allow you to bring in new characters. What was great about Transformers Prime was that it’s not like we got rid of Megatron and Starscream, or Bumblebee and Optimus Prime. They’re still there. And we figured out a really cool way to bring this awesome new character, Predaking, to life within the story that we were already telling. With something like Teenage Mutant Ninja Turtles, you wouldn’t want to get rid of two of your ninja turtles and add in two new characters. You always want those four guys to be there. You just want to add in new characters to make the story even bigger and more epic. 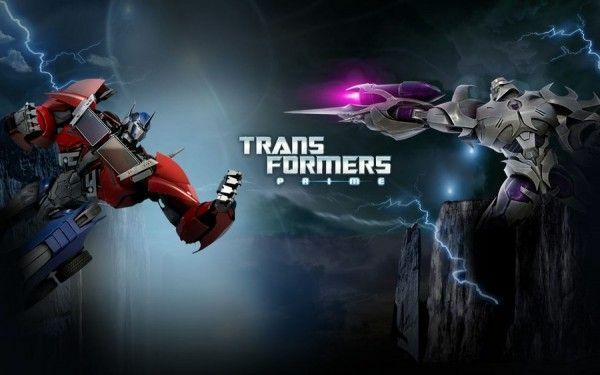 Aside from Transformers Prime, what’s the status of the shows that are on the air now, and what do you currently have in development? VOGEL: Everything we have on the air, right now, is going strong. 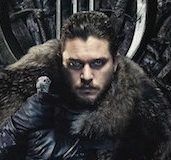 I don’t think I’m allowed to say exactly what’s getting new seasons and what’s not getting new seasons without checking with the network first, but I can tell you that everything we have on TV right now, there are currently plans to continue those stories, in some way, shape or form. What’s great about Hasbro is that, even if that series doesn’t go on to a Season 3 or a Season 4, we have publishing divisions, we have the toy lines, we have licensing, and we have abilities to take these great characters and tell stories in different ways. That’s very exciting for me because it’s not something you get the opportunity to do at a lot of other studios where you’re just doing the entertainment. I do know that we have announced that we’re doing a fourth season of My Little Pony, and that’s really exciting. And we’re continuing on with a second season of Littlest Pet Shop, after this first season airs. We’re also currently developing a bunch of other ideas, based around our Hasbro IPs. Our top secret development slate is hopefully going to bring more of our awesome brands to the screen. Basically, I’m treating to recreate my childhood from the ‘80s, in modern day. So far, we’ve been successful. Do you listen to the fans to make sure their ideas are also incorporated into the shows? With the popularity of comic book movies constantly increasing, are there things that you’re trying to develop to reach that audience? VOGEL: Yeah, we have some of those brands that fit right into that comic book movie vibe, obviously with Transformers being one of the biggest and most successful ones. The fans that are going to see Spider-Man, X-Men, Superman and Batman are the same ones that are going to see Transformers. As someone who is that comic book fan, who grew up reading Spider-Man and watching TV, Spider-Man, Batman, Superman, Optimus Prime and Snake Eyes all fit together. Those were the characters that I was in love with. So, we definitely have those brands that appeal to that exact same demographic, and we’re continuing with animation that hopefully will bring those fans to The Hub to watch the further adventures of those characters. At the same time, we have had this amazing success with My Little Pony that we never expected was going to get the same fanbase as the people that are going to the comic book movies. But, because it’s this show that’s a fantasy/mythology/adventure show with great, amazing, funny characters, we actually did manage to get those fans of some of our girls’ brands, which is crazy. I don’t think that’s ever quite happened before, and we’re super excited about that. It’s brand new for girls’ programming to have that kind of a fanbase. With Comic-Con just around the corner, are you already thinking about what you’ll show in San Diego? VOGEL: Oh, I think we started thinking about what we could show in San Diego about a month after we left San Diego last year. We definitely have some very cool plans for Comic-Con. We have some big news on some of our big brands coming out. I can’t say what it is because I don’t want to spoil the surprise. Comic-Con is a lot of fun for us. 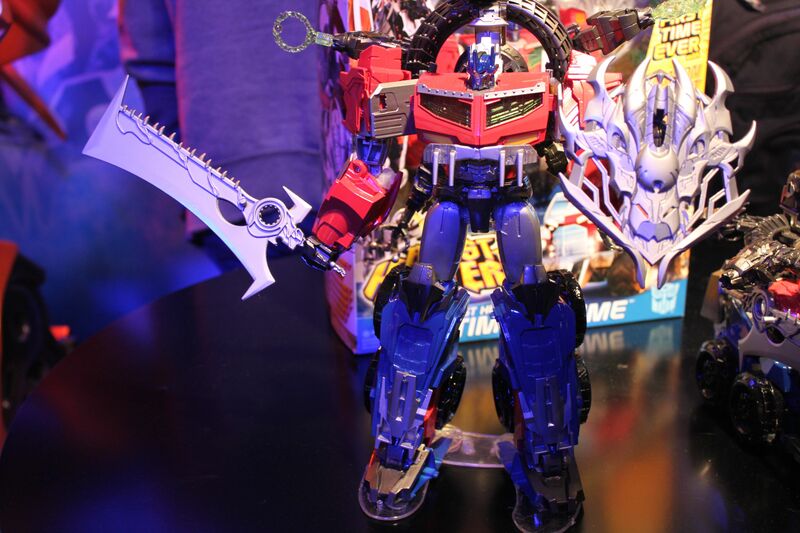 Hasbro has been upping their game significantly in the past few years, now that we have so much great entertainment, in addition to our great toys, and I think this year is going to be no different. We’re going to have some really, really cool stuff for the fans. What’s the coolest prop, toy or swag that you have in your office? VOGEL: Well, the best part about working at Hasbro is that they send you so many toys that you have to occasionally cycle them out to make room for the new toys. It’s pretty awesome! It’s one of the really cool perks of the job. It makes me feel like I’m Tom Hanks in Big, which is a good thing. That’s actually a really hard question. What’s cool about my office is that it shows the whole gamut of what we have. As the guy who gets to oversee all the shows, I have an equal number of Transformers, My Little Ponies, Littlest Pet Shop characters, G.I. Joe characters and even a couple Jem dolls thrown in there. It’s a very balanced toy portfolio, in my office. It’s really fun! At Hasbro, they have these name plates that are made out of toy blocks, and I’ve surrounded mine with the My Little Pony figurines that we have. My office would have to be described as geek-tastic. What’s it like to work with the different studios to try to develop new properties? VOGEL: Although we do have goals, down the line, to start developing new ideas and new brands, our primary focus, right now, is to take our classic brands and re-imagine, reinvent and reignite them for a new audience, the same way we’ve done for My Little Pony and Transformers. The good thing about Hasbro brands is that everybody seems to have a love and a nostalgia for them. So, when you go meet with these studios, whether it’s Polygon, who is the Japanese studio who does our computer animation on Transformers Prime, or Studio B up in Vancouver, who is a flash animation studio that does My Little Pony and Littlest Pet Shop for us, it’s amazing when you get these creative people in a room and you start talking about these brands. Half the people have the toys. Half the people were obsessed with the old version of the show. Everybody brings a lot to it. And then, you give them the freedom to say, “Okay, what would you do with it?,” and the ideas you get are just crazy and fun and out there. That was what was great about Lauren Faust and the Studio B team with My Little Pony. They had this love of the original ‘80s My Little Pony, and they got to say, “Here’s what I loved about it, and I want to bring that part out, even more, in this new series.” It’s actually really exciting to have brands that have that level of love, respect and nostalgia, and then just let creative people cut loose on it. We try to be really free with that. Even though we have a lot of needs and global brand desires, we try, in those very early stages, to let them go crazy and come up with whatever they want, and then bring it in, as opposed to giving them all of the parameters, right away. When you let creative people go loose on a blank canvas, sometimes you get stuff that surprises you, that you never would have thought of, in the first place. Obviously, Hasbro owns a lot of really cool IPs. 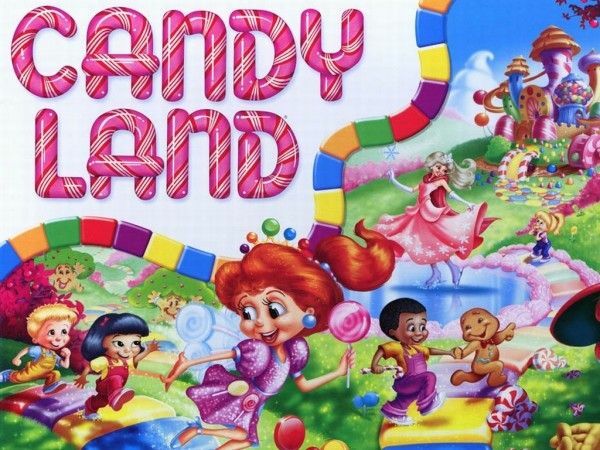 How often have you tried to figure out a way to make a Candyland cartoon come together? VOGEL: I will say that any Hasbro brand that you could name, we have probably put some thoughts together and had a power point presentation somewhere about how to handle it in animation or live-action. My creative team, that I work with at the studio, and the executives that work with me, work with our creatives, and work with the brand teams, are all fanboys and fangirls who grew up loving all these things. For us, it’s like getting let loose in the candy store. I think Hasbro sometimes gets tired of us saying, “Well, here’s how we would do this one, and here’s how we would do this one. You could do this one, this way or this way.” If there is a Hasbro brand, we are ready to attack it, from an entertainment standpoint. 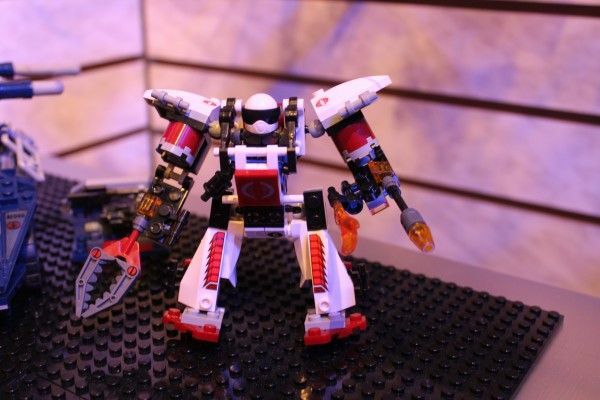 Have you also tried to develop a KREO animated series? VOGEL: I think that does sound really interesting, and I can neither confirm or deny that there’s a presentation somewhere that shows exactly how we would do that, and that it would be super fun and exciting. But, I can say that it’s really funny. How did you originally end up working at Hasbro Studios? VOGEL: Well, one of the things that Hasbro has done, that’s really smart, is that they actually went and hired TV executives and animation executives to work in the studio and build the entertainment. 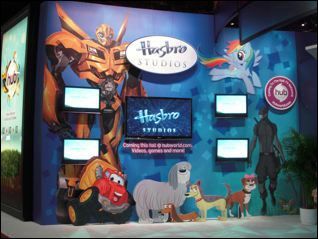 Where other companies want to have TV, DVD and entertainment, but it goes through their marketing division or other division, Hasbro went out and sought people who were doing this in the TV industry and brought them in. They hired the best of the best. I was at Sony Television before this, and I was working on kids’ animation and primetime animation, and I was working with different studios. Steve Davis, who runs Hasbro Studios and runs entertainment for the company, had coffee with me and said, “Would you like to develop a new version of Transformers and a new version of G.I. Joe?,” and I said, “Absolutely!” I think I was out the door at Sony before you could say anything else. The best part of this job is that, the more that you are like a big kid, the better you are at your job. We’re hired to try to think the way that kids are going to think. We’re supposed to create TV shows that they’re going to like, and then work with the teams in Rhode Island who create toys that they’re going to buy. You basically have to run around, acting like a giant kid all day, to be successful at your job. I can’t think of a whole lot of jobs where that’s the case, and I’m thankful that worked out for me because I’m definitely a big kid.